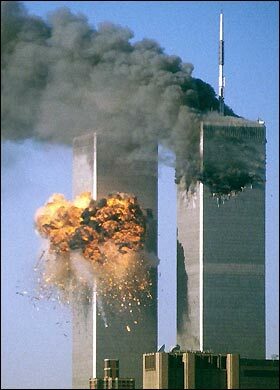 This does not mean to say that Obama will conduct a truly altruistic foreign policy. He will obviously put American interests first, and indeed the Time article which used this picture suggested that he was largely responsible for what was happening in Libya. The theory that the three powerful ladies in the administration had driven him along is contested, and certainly Hillary Clinton’s eyes in the picture suggest that the article is right in saying she was not initially inclined to interfere militarily. I hope then that President Obama’s face in the picture means he will not pursue that interference to the lengths some of his allies require. Inflicting death on selected individuals is always murder, and while a case could be made on grounds of self-defence for doing it to Osama bin Laden, the same is not true with regard to Colonel Gaddafi or his children or his grand-children. I saw the Time magazine picture just after I had been sent several Australian articles about the deaths of LTTE officials who were supposed to have been carrying white flags. Those were critical of Dr Kohona, my predecessor as Head of the Peace Secretariat. The claim was that he had sent a text message indicating that the surrender of Messers Nadesan and Pulidevan and others would be accepted, and that their deaths suggested he was somehow culpable. His response to one of the Australian papers was that he had no authority to arrange a surrender, and what he wrote was in the nature of general advice. It was claimed that Fonseka said this at an event held in Ambalangoda to felicitate him on July 10. The report featured in the US State Department report handed over to the Sri Lankan government three months or so later, to which I have continuously urged government to respond. Unfortunately, though I believe government intended to reply early on, the usual lack of focus led to delays, and then what seemed the unfortunate flirtation of some US embassy officials with Fonseka led perhaps to the feeling that any answers would be misinterpreted. Be that as it may, one can see here perhaps the distinction the American hierarchy also displays, between steely determination and more human elements. Both stories confirm the need for continuing civilian control of the military, even in Sri Lanka, where the military is generally speaking so much more efficient than civilian officials. 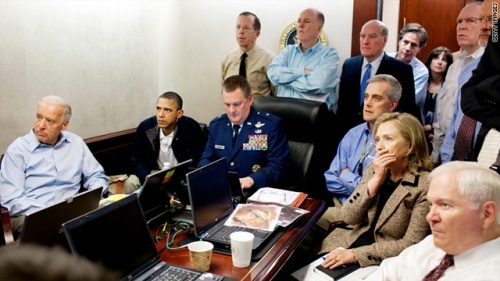 Given however the basic focus of military activity, we need too the primary human feelings I hope I was right in seeing in both Barack Obama and Hillary Clinton. The elimination of terrorism that caused it citizens so much suffering, in America in one fell swoop, in Sri Lanka continuously over decades, was a necessity. But that elimination must go hand in hand with the reassertion of the values such terrorism traduced. If ‘lankanewsweb’ was right in attributing a certain mindset to Sarath Fonseka in the last days of the war, we can perhaps understand that mindset, but we must never give it authority. To fail to have looked into that assertion then was a mistake. 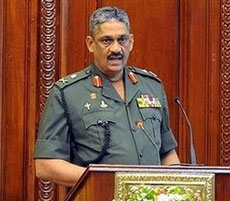 To fear to do so now, on the grounds that we would be ill-treating Sarath Fonseka, or betraying people to whom he might have given illegal orders, is understandable, but we should not give in to such fears. It is wrong that Dr Kohona should continue to be subject to criticism and even persecution, when it seems from what he has said that he was trying to be humane, in a context in which, like the endearingly gob-smacked Hillary Clinton, he was not calling the shots.